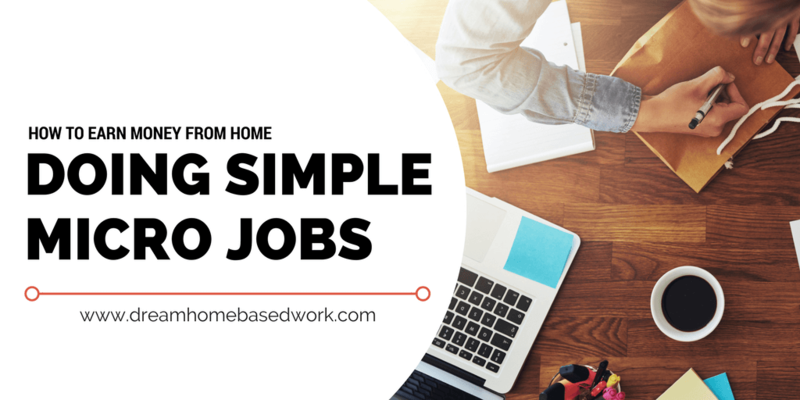 If you like the idea of earning money from home but aren't interested in starting a full on business or demanding side hustle, micro job sites might be best for you. Micro jobs allow you to freelance and take care of smaller online tasks in your spare time right from your computer. They are often temporary task-type jobs but can become recurring if you sign up through a trusted website that provides lots of leads for work. 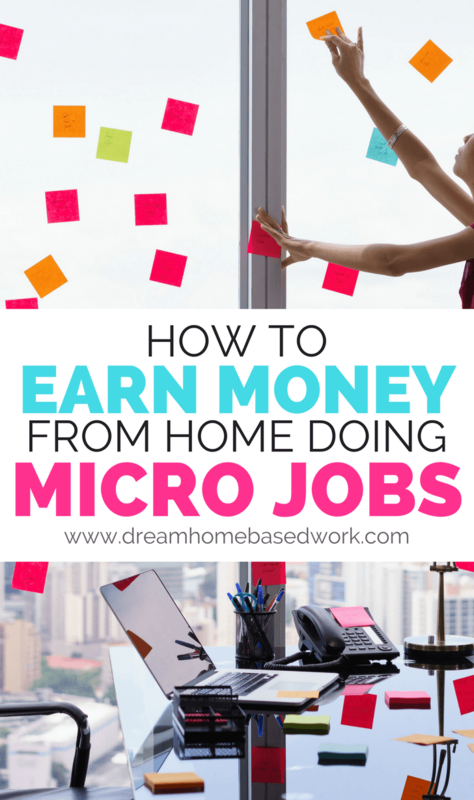 While you may or may not be able to earn a full-time living from micro jobs alone, you can earn enough to supplement your income if you are looking to earn extra money. Here are three of the best sites to utilize for micro jobs. Fiverr is a digital marketplace that allows people to sell services to others in a variety of fields. While the most popular service categories are technology related like graphic design, programming, and video creation and editing, there is a wide variety of services you can offer including writing and editing, social media marketing, research, voice over work, and so on. If you have any special talents or just a good sense of humor you can even offer fun services like writing songs or making entertaining videos for businesses, playing video games online against others, or even offering advice (yes, that's a category on Fiverr). To start offering your services, you'll need to sign up and describe your expertise. Try to include examples or samples in your description along with the expected turn around time for the final results. With Fiverr, you don't have to offer your services at only $5 and you can always charge more for extra add-ons or an expedited service for someone who needs the finished product quickly. I used Fiverr once for an editing service and paid $60 for a 2-day turnaround so there is definitely money to be made by completing micro jobs on this site. Mechanical Turk –Read more– is a service from Amazon that allows you can complete very short tasks for a small payment. The work offered on this site is very simple and you don't really need any special skills or expertise to pick up tasks. For example, one task may be to write a short product review or fill out a brief survey while another task may require you to categorize images. The only problem people have with Amazon Mechanical Turk is that many of the tasks are low-paying. On the bright side, you can pick the tasks you choose to complete and if you work efficiently, the more tasks you complete the more you earn. The money you earn probably won't replace your day job, but it can add up if you complete tasks during breaks at work, during your daily commute, while watching T.V. etc. Make a habit out of checking for tasks that interest you and if you stick with it, you may be surprised at your earnings by the end of the month. Inbox Dollars pays you to do small tasks like take surveys, surf the web, read advertisements, etc. Like these other two opportunities, you won't make a killing on the site but it is a legitimate and flexible way to earn extra money. When you sign up, you'll automatically earn a $5 bonus and when you reach the $30 minimum threshold, you can cash out your balance. Micro jobs can be a great way to supplement your income if you don't have a lot of time and effort to pick up a traditional side job. While the earnings may seem small at first, you can't let that discourage you and should at least put effort into trying out the opportunity for 30 days. Even if you earn an extra $50, that money can be put toward a bill, cover a night out on the town, or go straight to your savings account. Have you ever heard of these sites or tried any micro jobs yourself? Which type of tasks would you be most willing to perform? Hello LaShay, Thank you for your information, question do the companies you’ve placed on your site really work. Just want to be sure before proceeding ahead. Hi Chonce, These are really some of the cool places to look for work at home jobs. It should be useful resources for stay at home moms. I’m going to pass it along on my social channels.